A forest fire has broken out in Turkey’s Antalya province, Turkish media reported July 6. The fire covered a forest area of one hectare. The work is underway to localize the fire. Fire brigades, as well as helicopters, are involved in extinguishing the fire. On July 5, a forest fire broke out in Bodrum district of Turkey’s Mugla province. This is while on July 3, a forest fire also broke out in Turkey’s Istanbul. Forests occupy 27.6 percent of the territory of Turkey. Almost all of them are owned by the state. 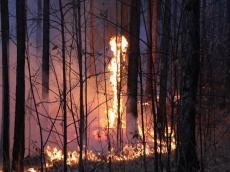 In the history of Turkey, since 1937, more than 68,000 cases of forest fires have been recorded. In the past 10 years alone, more than 24,000 cases of forest fires have been recorded in Turkey.